The Occupational Safety and Health Administration’s electronic reporting of workplace injuries and illnesses, also known as the recordkeeping and electronic submission rule, has been a source of confusion for many EHS professionals. Deadlines for compliance have been delayed time and again, and some professionals aren’t even sure what compliance means for them and their organizations. In this episode, we’re discussing the rule with Jay Finegan, Compliance Services Leader for Dakota Software. Jay Finegan, CHMM, has over 30 years of experience in government, academia, and industry, including 20 years in EHS. Prior to joining Dakota, he was an EHS Manager for a Fortune 400 aerospace company, where he oversaw the entire EHS program for multiple facilities. At Dakota, he assists clients to implement and use Dakota’s products more quickly and more effectively. 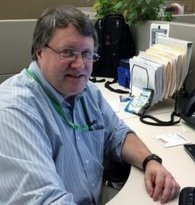 He is also the lead design engineer behind Dakota’s highly regarded Air Compliance system. Jay holds degrees in engineering, business and law. 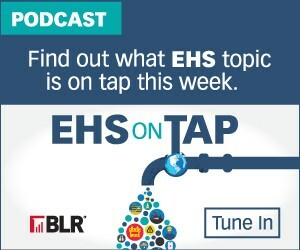 EHS on Tap is an environmental, health, and safety podcast by BLR’s EHS Daily Advisor. On each episode of EHS on Tap, our host will discuss emerging legal, regulatory, and policy issues with industry experts and the impacts to everyday safety and environmental professionals. EHS on Tap topics run the gamut of contemporary issues facing EHS managers and professionals today. Download the podcasts on iTunes here.